Member David Leong provides us with a brief but excellent series of photos from GGR’s recent Driver’s Education event at Infineon Raceway. Photos from GGR’s 50th Anniversary Celebrations: Presidents’ Dinner. The ProgrammeEnjoy these photos of the Presidents’ Dinner from GGR’s 50th Anniversary Celebrations (provided by member Rich Tsai). Photos from recent Autocross and Driver’s Education/Time Trial events. GGR member Clemson Chan has kindly shared some more of his photos with us. Thanks to Rich Tsai for sharing photos from the 2nd Annual Presidio of San Francisco Concours d’Elegance. Re-live or enjoy for the first time! Photos by Rich Tsai from the 44th Annual Palo Alto Concours held recently at Stanford. 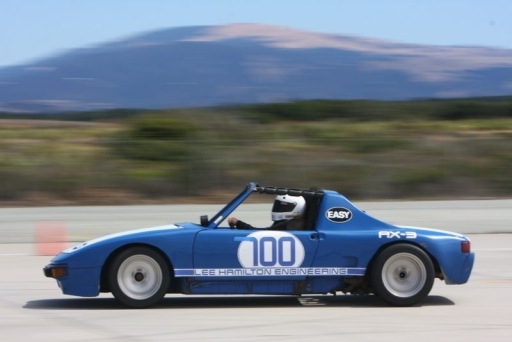 David Leong has posted photos from this past weekend’s Annual GGR/Porboy’s Beginners Autocross School for us to enjoy. Contact David for details on getting a copy. Clemson Chan has also posted photos from the event for you to enjoy.